MPS has sent AFM President and Lead Union Side Trustee Ray Hair the attached letter urging him to adopt the MPS Plan. Click on the letter to read the full document. 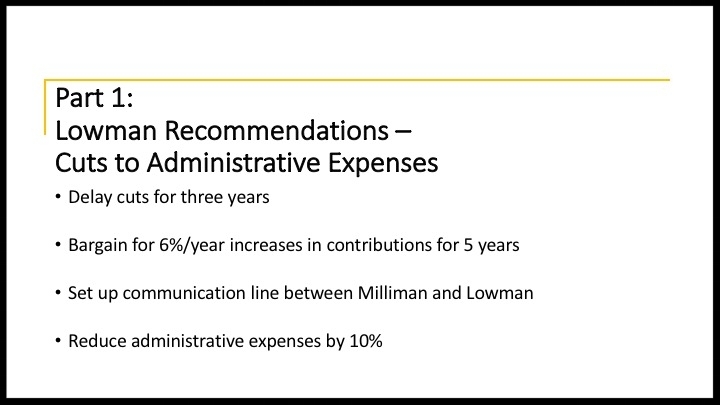 Independent actuary Tom Lowman provided us with this summary of his observations and recommendations. This was also forwarded to Ray Hair and the trustees. Click on the letter for the full document. 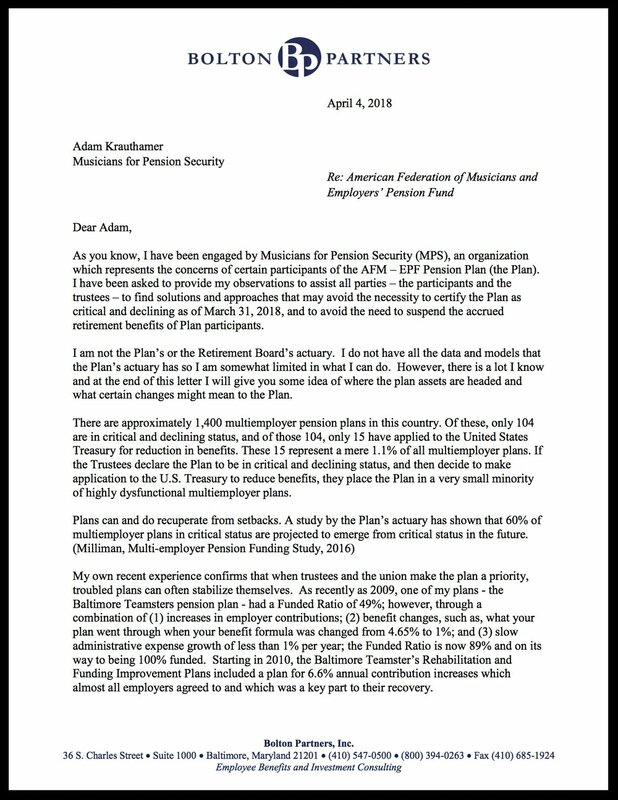 It only took 48 hours after the Musicians for Pension Security national meeting on April 4th for the AFM-EPF Trustees to reject each and every proposal we made, casually brushing aside months of careful work by our team of experts. Rather than engaging in a dialogue concerning the positive and creative recommendations we made for lessening the impact of cuts to our pensions, cutting expenses, or reforming the board, the Trustees chose to question our motives and attack our all-volunteer organization that works on behalf of fellow musicians across the country. Read the letter the trustees sent to us on 4/6 here.